The Day of the Dead, Mexico’s traditional celebration to honour those passed, is once again upon us. 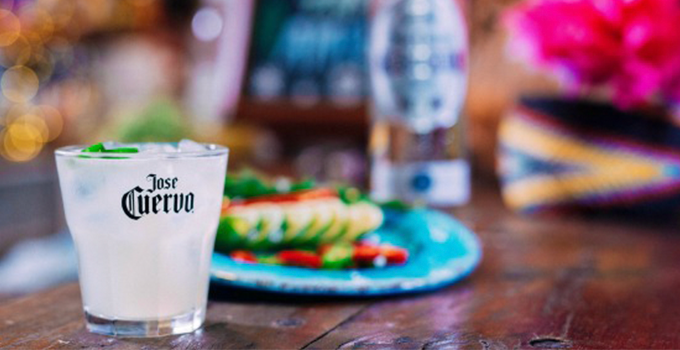 In true G&G fashion, we’re more fond drinks than dress ups – and we’re excited to share this margarita recipe from Jose Cuervo. With a punch of flavour and a splash of spice, this is bound to go down quiet nice. INGREDIENTS 60ml Jose Cuervo Tradicional Silver 30ml Triple Sec 30ml Fresh Lime Juice 2 Jalapeño slices Extra Jalapeño slices, to garnish METHOD Add spirits, lime juice, and 2 jalapeño slices to a shaker with ice and shake well. Strain onto fresh ice in a rocks glass. GARNISH Garnish with jalapeño slices.